James King best known as The Bluegrass Storyteller has passed away this week – 19th May aged 57 years. James lost his ongoing fight with liver disease at Lewis Gale Hospital in Salem, Virginia. Bluegrass music was a part of the heritage of his childhood. His father, Jim, and his uncle, Joe Edd, were both musicians who influenced James. He recalls his early interest in Bluegrass music came through Gospel songs performed by The Stanley Brothers (Carter and Ralph). James King noticed that he was developing the ability to perform vocally similar to Carter Stanley. After a period in the Marine Corps, he started performing with T.J. and Bobby Lundy. James recorded music with Ralph Stanley in the 1980s, and in the 1990s Dudley Connell helped him with an introduction to Ken Irwin at Rounder Records. In 1997 the James King Band was named “Emerging Artist of the Year” through the International Bluegrass Music Association (IBMA). James continued touring and making records ever since. 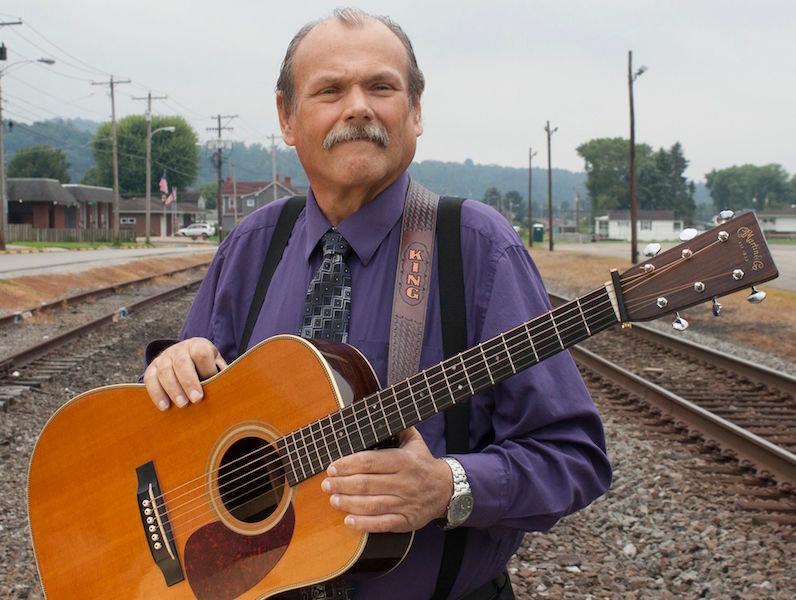 His album, “Three Chords and the Truth” received a nomination at the 56th Annual Grammy Awards Best Bluegrass Album. On September 13, 2014 the Virginia Folk Music Association in Chester, Virginia is inducting James into the Virginia Country Music Hall of Fame. James King became known as The Bluegrass Storyteller as a result of his ability to tell tales through his songs. Two such songs are Bed By the Window and Echo Mountain.